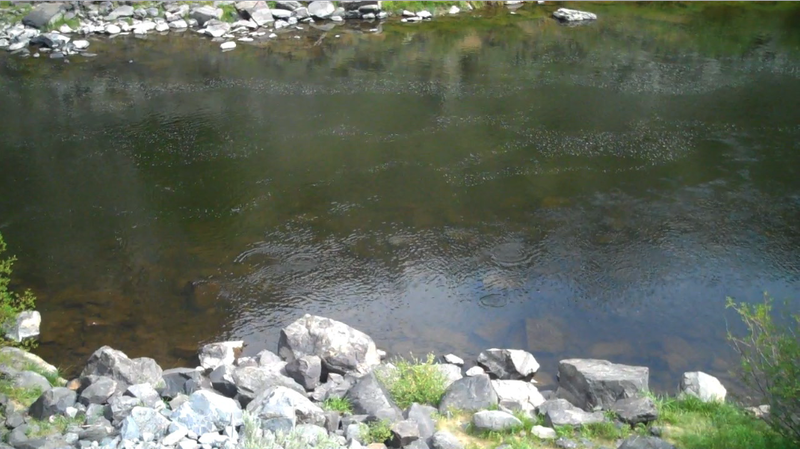 As prompted by OBN, here it is - my favorite outdoor place: The Big Hole River. 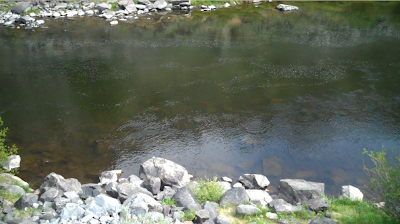 For the past week or so, I have been going to bed reading about the the Mother's Day Caddis hatch in Greg Thomas' "Fly Fisher's Bible of Montana", reading chapter 11 in McGuane's "The Longest Silence", and watching my own videos of the mighty river. A fantastic brown trout fishery, it also is holds to rainbows, cutthroat, brook, and grayling. Prolific hatches, rising trout, hungry browns, and the "only western river with viable fluvial grayling populations in the lower 48". Here are some pictures. 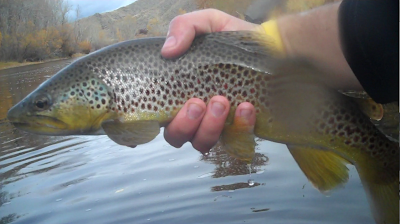 Portions of my video "The Browns, Bows, and a Bull of Fall" featuring moving pictures of the fish, the river, and the surroundings of the Big Hole. Also, after a day on the river, who doesn't want to wind down at quality watering holes like the Melrose Bar & Cafe with a High Life or Moscow Mule (which might be 1500 feet from Salmon Fly Access). Right next door to the bar is George Goody's Montana Fly Company, a ridiculously solid fly shop. Nice, I love the Big Hole, and moscow mules. Looks like a beautiful spot with terrific fish! I can see why you would be waitin' on spring! BTW- I love your blog header. Gotta be one of the best I've seen! @jergens - i hear ya. i have the big hole river shakes right now. this is going to be a long couple months. @kmurray - thanks for visiting and for your kind words. means a lot coming from a blogger like yourself. hawaii is a reasonable choice, i suppose. if physical beauty, tropical weather, and outdoor adventure is your kind of thing. Mother's Day Caddis are real sweet! And this Big Hole River looks like something that I might have to consider in the future. indeed, RD, it is worth a visit. I got a shot at the big hole two years ago, got a piece of the salmon fly hatch whitch was like fishing with bird flies to me. I have missed the horn every time and not again..
That is in the spring plan. Got you added to the roll, sorry it took a week. 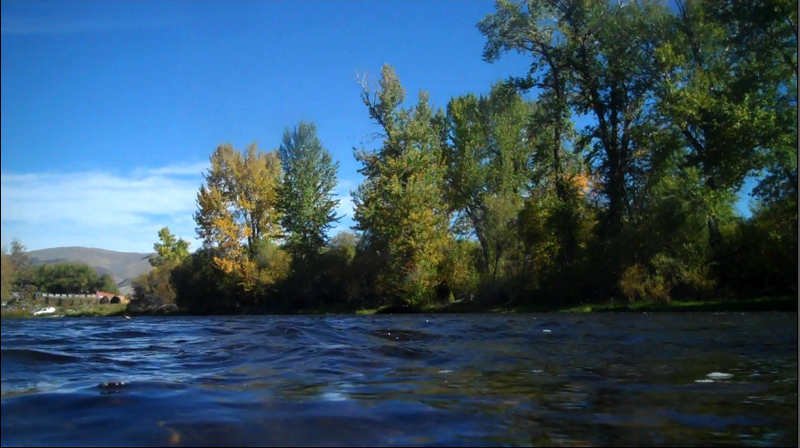 did you have any success during the salmon fly hatch? 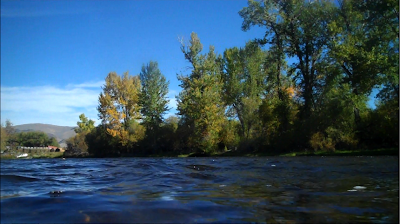 I have yet to fish a true salmon fly hatch because it always seems ridiculously busy. I might brave the crowds this year. thanks for the addition to your blogroll. I am still in awe and extremely jealous of that 25" rainbow. Once focusing on the water and things beneath it I realized that the salmon flies were a day or two from coming back to the water for laying, in numbers anyway.